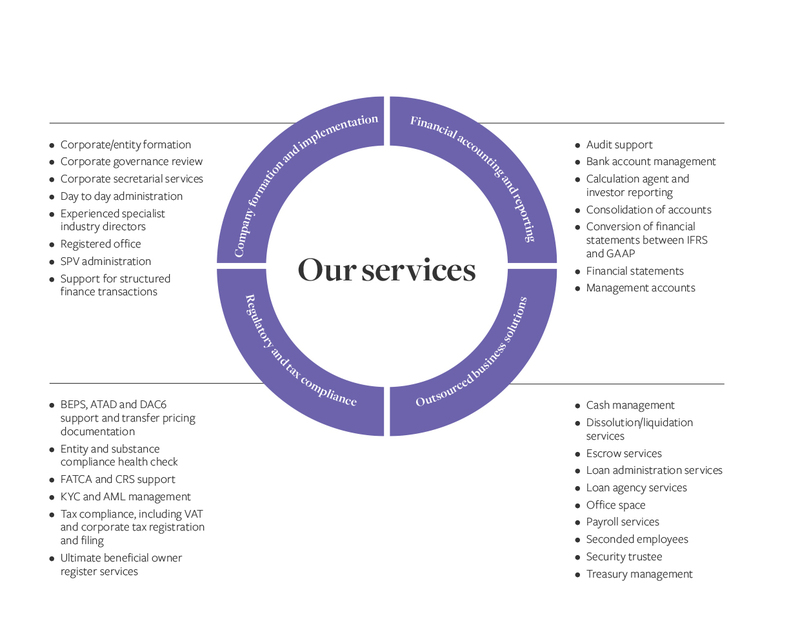 Our corporate services team have the know-how. Let’s combine your requirements with our experience. Get in touch, we want to know more. Corporations of all sizes are facing growing challenges. Not only is there increasing regulation, but corporate structures are becoming more diverse and complex. Operating in different jurisdictions means dealing with local laws and processes. And you need to act fast to seize business opportunities or to adapt quickly to changing situations and environments. Meeting those challenges requires the support of a global, responsive and experienced corporate services provider. With over 2,450 people in 23 strategic locations operating across multiple time zones, we are perfectly placed to help you achieve your goals. We invest in industry-leading technology and invest in our people’s professional development so we can offer you the tailored solutions you need. Scale, and service range and leading technology are all essential, but personal service has never been more important. You need to know that your relationship manager knows and understands you and your business. That’s why we ensure you have single, dedicated point of contact to manage your relationship with us. You want to know that whatever size of your business or whatever sector you operate in, we have the experience and expertise to work with you effectively. Our clients include multinational corporations, Fortune 500 companies, holding companies, start-ups and mid-cap companies with interest in retail, bio-pharma, FinTech, technology, real estate, capital markets, structured finance, securitisation and aircraft leasing. You are in safe hands. We understand the importance of working within clearly defined deadlines and reporting requirements within tight time scales.